Then, the fastest swimmer in each Zone in each Long Course Meters (LCM) Olympic event (including the 800 and 1500 for both sexes) is invited for a total of 14 additional male and 14 additional female athletes. If a swimmer was already selected based on IMX score, the next fastest swimmer is selected in that event. I had an amazing experience at Southern Zone Select Camp. I learned so much about the sport not only through the practices, but from the group meetings and the coaches that I had a chance to work with. The camp taught me that nutrition, attitude and goal setting are all very important to becoming a high level athlete. I learned that there are many different paths a swimmer can take to reach their dream of going to the Olympics to represent team USA. Everyone at the camp was very understanding of my shoulder problems and made sure to adjust the workouts to fit my needs. One of my favorite parts about the camp was meeting so many new friends. Before going to camp I didn’t know many swimmers outside of my small team. Now I know swimmers from all around the southern region of the united states. There were so many fun team building activities that the camp had to bring us closer together. It is great knowing that some of my competitors are now friends that I can go up and talk to a meets. Over all the camp was a great experience that I was very lucky to be a part of and learn from. At the PAC-12 Conference Championships, Stanford teammates Ella Eastin and Katie Ledecky went toe to toe in the 400 IM. On the last 100, Ledecky outsplit Eastin by 4 seconds and out touched her teammate, setting a new American Record at 3:57.68. However, just 3 weeks later – Eastin raced the 400 IM again at women’s NCAA Championships – where she broke Ledecky’s American record with a time of 3:57.57. Now you may be thinking, 400 IM isn’t really Katie Ledecky’s race, but she’s untouchable in the freestyle events. However, University of Louisville’s Mallory Comeford had other plans. In one of the most exciting races of the meet, Comeford ran Ledecky down on the second 100 of the 200 free to tie for the NCAA Championship. (Side note, while the 200 free was an impressive race, it must be noted that Missy Franklin has been 1.2 seconds faster than the winning time). Ledecky’s other individual event of the meet was the 500 free, which she won in a dominating fashion, posting a new American Record of 4:24.06. However, the most impressive part of that race was to see Virginia’s Leah Smith chase Ledecky the entire 500, causing her to be only the second woman to break 4:30 in the 500 free with a time of 4:28.90. If Katie Ledecky weren’t Katie Ledecky, we would be doing a lot of talking about Leah Smith breaking the 4:30 mark. So aside from throwing out a bunch of swimming information, what is my point? For the last 4 years, Katie Ledecky has set the bar higher than any other American female swimmer. Every time she touches the water, she races as if everything is on the line. In doing so, she has made the athletes around her better, whether they are teammates of hers, like Ella Eastin, or her competitors like Mallory Comeford and Leah Smith. That is the amazing thing about elite athletes, they have the ability to not only raise the bar but they also have the opportunity to bring others along with them. Whether you are the athlete setting the standard, or you are the athlete chasing the standard – you all have the unique opportunity to make your teammates better. As the Proverb says, “Iron sharpens Iron,” and so at ATOM we place a high value on hard work and commitment knowing that we not only do it for ourselves but we do it for our teammates who train with us day in and day out. Raise the bar. Set the standard. Strive for excellence. Every day, you have the chance to help someone be better than they have ever been – and that is the essence of being a great teammate. Muhammad Ali was famously known for saying, “I am the greatest. I said that even before I knew I was.” While this can be taken as a very prideful statement, I believe Ali was on to something important. If we want to be a champion, if we want to be the greatest, we have to believe that ability lives inside of us. WE HAVE TO ACT LIKE A CHAMPION. Ali acted like a champion and believed he was a champion even before he was a champion. Mindset matters. What do you notice about this list? Do you have to be the fastest swimmer in the pool to be A CHAMPION? Are these qualities limited to our time in the pool? Speed does not matter – being a champion extends far beyond how fast you swim or which meets you are qualified for. Acting like a champion means that we carry ourselves in a manner that allows us to be the best version of ourselves we can be both in and out of the water. As a coaching staff, we strive to create an environment where champions are inevitable. Our goal is to use swimming to help our athletes develop the qualities listed above. If they can learn how to be a champion in the pool, they will be able to be champions in other areas of their lives as well. I hope every athlete on our team ACTS LIKE A CHAMPION and believes in their ability to do great things. Each person has the opportunity to contribute something incredible not only to our team but in the surrounding community. BELIEVE YOU ARE A CHAMPION. A few highlights from our travel trip to Wilmington with Senior and Pre Senior Groups. Why Do We Swim Early Season Meets? Get swimmers reacquainted with racing – we can simulate races in practice, but nothing compares to being in a meet setting. 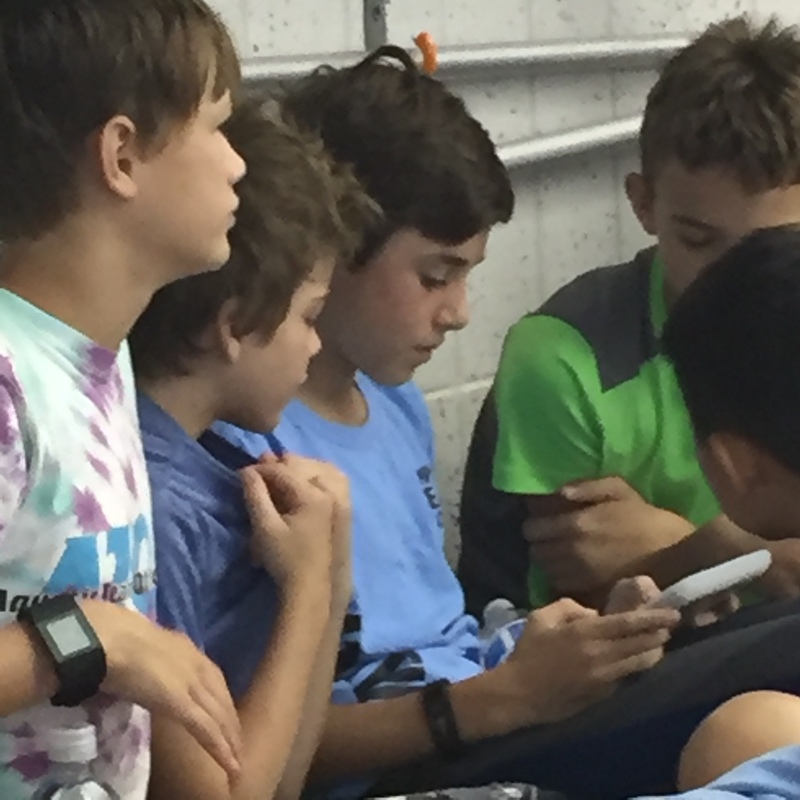 Being at a meet allows athletes to practice the entire competition process: warm up & pre-race preparation, racing strategy, and post race analysis. Build mental “muscle” – we can talk all day about training, racing strategy, pace, turns, etc. but often for our athletes the biggest challenge is the mental aspect of swimming. Practicing how to mentally focus and prepare for a race, and manage nerves and negative thoughts has to begin at this point in the season. So what did we learn from this meet? As a whole, our freestyle looked particularly good. We have placed a heavy emphasis on freestyle over the last 6 weeks of the season, especially with our IKKOS sessions. Our coaching staff was very pleased with the progress we have made on freestyle and the role that IKKOS has played in helping our athletes make adjustments to the stroke. We have also spent a lot of time working on streamlines, body position, kick and underwater kicking in all practice groups. Certain expectations have been laid out, particularly for our 11 & older athletes in terms of number of kicks off each wall, not breathing out of turns, quick transitions between strokes in IM races, etc (the details). We saw many of our athletes meet these expectations, others try and fail and others lose focus on these parts of the race. As a coaching staff, we recognize that failure is a necessary part of the process – so while we may not be where we want to be, we also know that failing during a race will help our athletes see where they need to put their focus in practice. Finally, we learned a lot about the mental process of swimming. I had many conversations with athletes about how they psyched themselves out before swims, or realized at points in a race they were “swimming scared.” We are learning to see each race as a step taking us toward the end of the season. We are also learning that failure is ok – we are never perfect, but we can always learn from each situation and use that knowledge to become better. Overall, we have had a successful start to the season. 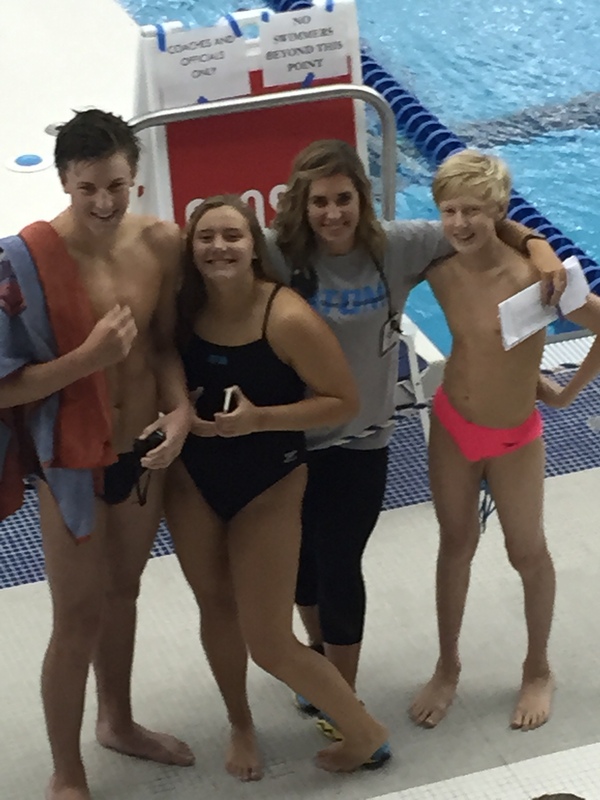 I have seen our swimmers support one another, work together, become a more cohesive unit, and apply the focal points from practice to their races. We have been dealt a difficult hand with our pool situation, but I have been very impressed with how our swimmers, their parents, and our coaches have been understanding and maintained a positive attitude through the adversity. Now its time to put in the work. There is a common mindset that swimming is an individual sport. 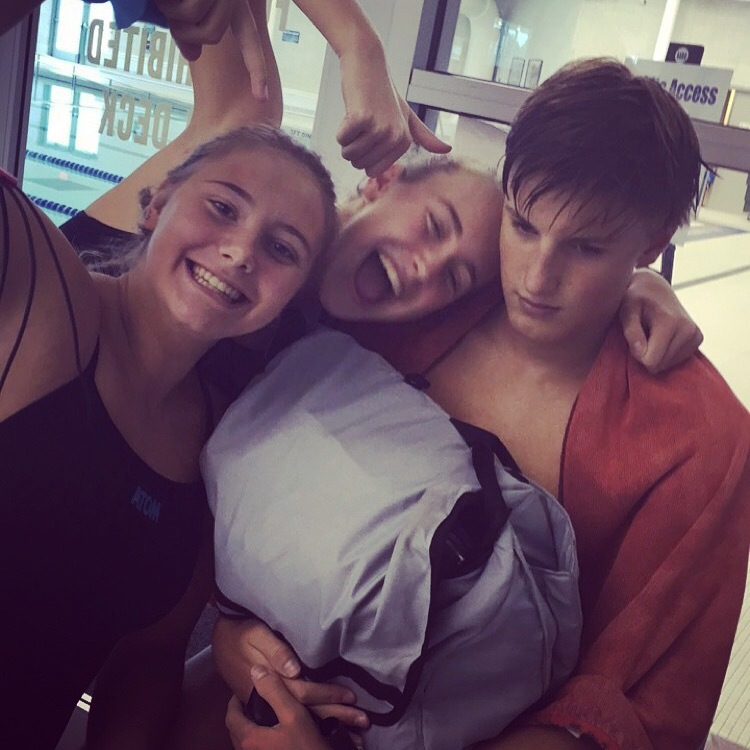 While on many levels there is an individual aspect to swimming, the longer I am involved in the sport, the more I realize that the TEAM is an integral component. 1. 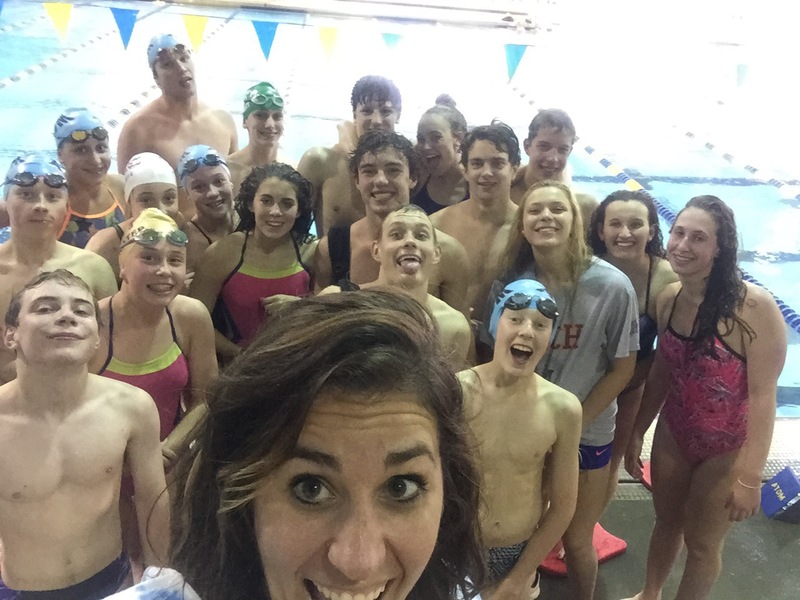 ITS MORE THAN JUST SWIMMING ON A RELAY: While relays are certainly the most visible team aspect of swimming, swimmers should always have a sense of responsibility to their teammates. This means that they give their best effort in practice and in meets, not only to make themselves better but to encourage their teammates to be better. When any of our swimmers achieves a great accomplishment in the pool (State championship, National Cut, making a select team) the first thing I tell their teammates is that they share in that accomplishment as well. They helped push, encourage, and challenge that individual on a daily basis. Their teammates success is the whole team’s success. 2. WHEN YOU DON’T SHOW UP IT MATTERS: “failing to show up” can manifest itself in many different ways – maybe you physically haven’t been to practice, maybe you are physically there but are mentally not prepared, maybe you are a distraction to your teammates. However, when you “fail to show up,” please remember that it not only affects you, it affects your whole team. Every swimmer on the team plays an important role, whether you lead the lane on a daily basis or are struggling to make the interval, your teammates are aware of what you are doing. The more you commit to showing up, the more committed your teammates will be to your success. 3. HAVE YOU EVER TRIED SWIMMING ON YOUR OWN? I have, its hard. I get bored really easily. I talk myself out of harder intervals. I start playing with equipment. I put on fins way too quick and resort to kick sets when I really need to be swimming fast. Have you ever stepped up to race your teammate at practice? How much harder do you work? I’ve seen swimmers push themselves to their limits in practice not because their coach is standing over them, but because their teammate in the next lane over is making them work for every lap. I’ve seen swimmers challenge themselves to swim on intervals they have never been able to make because their teammates tell them its time to step up. You need your teammates, you will never work as hard alone as you will with someone in the water pushing you. 4. YOUR TEAMMATES ARE YOUR BEST FRIENDS: you train 6 days a week for 2+ hours a day with these people. Your coach expects 100% effort every day – that is hard to achieve on your own. You need your teammates, not just to challenge you in the water, but to encourage you out of the water. You need teammates to make you laugh when you want to cry, to put things in perspective when you’ve lost sight of your goals, to “speak swimming” with when all of your non swimming friends are still asking you “did you win?”. Ive seen groups of swimmers swim beyond their ability because of the way they support one another. I’ve seen swimmers overcome injury, illness, and a variety of other obstacles because their teammates expected them to get back in the water. You need these people not just at the pool, but in your life. These are the people that will be there for you in your hardest moments and who will show unwavering support no matter where life takes you. I have so many thoughts running through my head when I think of all you have accomplished and the amazing opportunities that lie before you. I have so many memories of little boys and girls who just loved to be in the water. There was something about swimming that drew you in, and while it has been a hard road in many ways, here you are. I think of all the struggles that each of you have had to deal with. I think of how you have fought hard, worked hard, made sacrifices, made mistakes, and learned from those mistakes. I also remember the laughter, tears, hugs, encouragement, and triumph. I want you to know that I have swim every lap with you, I have wanted nothing more than for you to find success in swimming that you can carry on with you for the rest of your life. I have learned something from each of you. I often reflect on how I entered into coaching/teaching because I wanted to have an impact on young people. But what I realize now more than ever is that you have impacted me in ways you will never know. You all have given me experiences that I would never trade for the world. Thank you for the opportunity to coach you, get to know you, grow with you, and change with you. Now for my parting words of wisdom (but let’s be honest, probably not my last to you) – take advantage of this next chapter in your life. Savor it, enjoy it, soak it up. Please hear this: don’t wish the next 4 years away, and PLEASE don’t waste them. You each have a unique opportunity to swim at the collegiate level. What an honor! What a privilege! It won’t always be easy, it will make you work harder than you ever have, but it will be worth it. Give yourself the chance to see what you can accomplish. You all are so much stronger than you often give yourself credit for. Live the next four years with purpose and you will never regret a moment. I love you all dearly. You are always a part of the ATOM family, no matter where life takes you. 2. They focus on the details – what are the small things that will make you a better swimmer? Sometimes this is more than what you are doing in the water. Often the things outside of the pool have a greater impact on a swimmers success. Are you getting enough rest, eating healthy, practicing mental toughness, etc? 3. They are committed to our program – do you trust your coaches, your teammates, the process? Do you believe that you can be successful in this environment and more importantly are you helping create an environment where others can be successful? 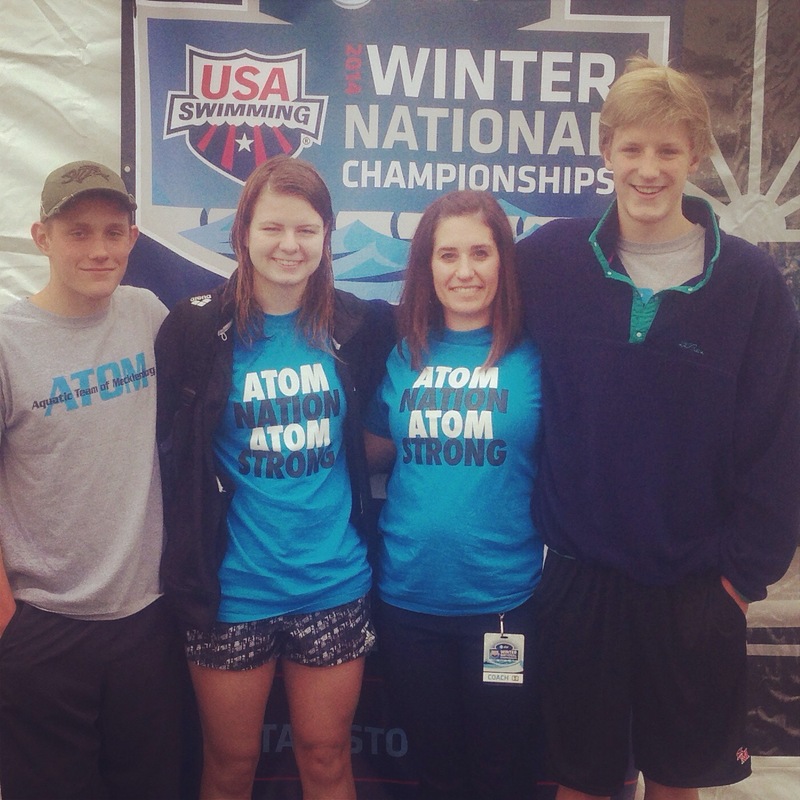 I love seeing my swimmers wear our team gear to school, truly be happy for one another’s success, and be a proud member of ATOM in a city where there are at least 10 year round programs to choose from. 5. They give their best effort day in and day out – it’s not enough just to attend practice consistently. My favorite athletes are the ones who don’t quit, who fight for every yard, who know swimming can be a grind and embrace it. When it’s all said and done I don’t care if you are the fastest kid in the group or are struggling to make the interval, if you give me your best I will be your biggest cheerleader. I will do everything I can for the athlete who is all in. There are obviously other characteristics that I appreciate (positivity, humor, honesty) – but I believe these five qualities provide the foundation for any athlete to get the most out of their sport. My hope is that when our athletes leave ATOM they will have sound character, a great work ethic, and the ability to face any challenge life throws their way. 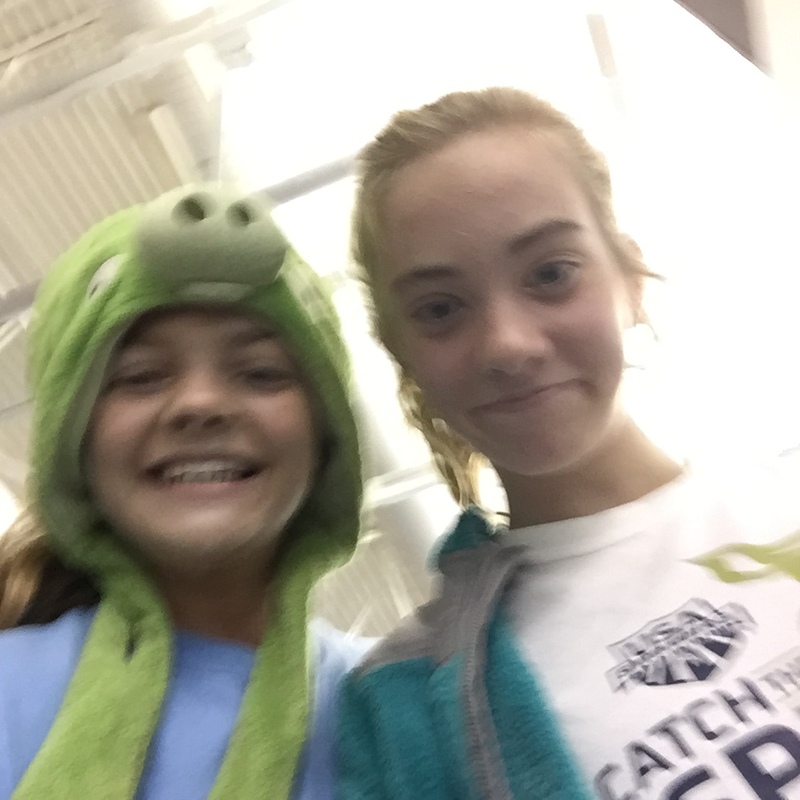 The Aquatic Team of Mecklenburg put on their inagural Swim-a-Thon fundraiser on September 28th at Mecklenburg County Aquatic Center. Over 60 ATOM swimmers participated and raised over $11,000 for their team. 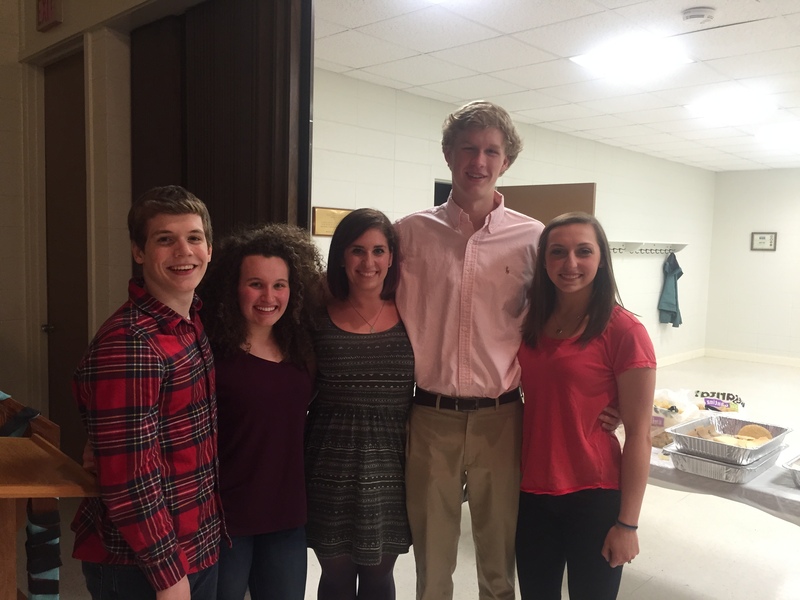 All of their hard work fundraising and swimming is a great asset to the team as whole. This event has surpased the fundraising team’s expectations and could not have happened without everyone’s participation!